The tabling of the annual national budget speech has proven to be one of the most anticipated events in South Africa. Along with the positive changes that are currently taking place in the political landscape, the February 2018 budget speech is set to attract not only the attention of business and individuals inside the borders of South Africa, but also those outside the country. Rating agencies will be watching the event like hawks. According to Dan Kriek, President of Agri SA, South Africa faces the risk of further credit downgrades if the budget speech is not palatable to the ratings agencies. Accordingly, the budget will have to reassure ratings agencies that South Africa is committed to maintaining the credibility of the fiscal framework and the expenditure ceiling. According to the medium term budget policy statement delivered in October last year, South Africa will have tax revenue shortfalls of around R50.8 billion for 2017 and R69.3 billion for 2018. By 2020/21, approximately 15% of the government’s revenue will go towards paying off debt. The country’s deficit is projected to be 61% of the gross domestic product (GDP) by 2022. The funding of free tertiary education  and struggling state-owned enterprises (SOEs) are key considerations for the upcoming budget. South African Airways (SAA) and Eskom are examples of SOEs that place a significant burden on the fiscus. It is estimated that SAA will need funding of approximately R8 billion by March 2018 and Eskom around R20 billion by May/June 2018. 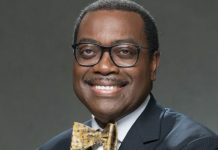 The budget will have to give a clear indication of the specific steps and strategies that will be used to ensure that the growing budget deficit is reined in. Subdued economic growth, limits the potential for significant tax increases without further curtailing economic growth. The World Bank projects that South African GDP growth will reach 1.1 percent in 2018 and 1.7 in 2019/20. However, taxes are expected to rise by at least R30 billion. 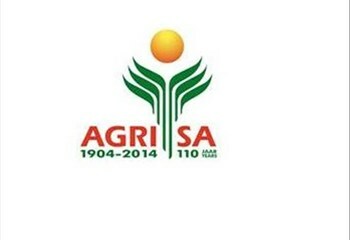 Agri SA hopes that expenditure cuts, particularly of wasteful expenditures, and efficiency measures will form a significant component of the specific steps and strategies to be outlined in the budget speech. Any tax increases should consider the existing burden on an already constrained tax base. Whilst improving access to tertiary education is a noteworthy goal, improving the effectiveness of existing spending on education, for example, to improve the quality of primary and secondary education should also be considered. Steps to improve the effectiveness and efficiency of SOEs is crucial. Wasteful expenditure should be eliminated and excessive compensation to the senior management of struggling SOEs must be re-evaluated. Unfortunately, agriculture received relatively little attention in the medium term budget policy statement (MTBPS) of October last year. Agriculture was the best performer across the first three quarters of 2017 and was the largest contributor to our 2% GDP growth in the third quarter. The MTBPS made no mention of agriculture’s contribution to economic growth nor the plight of farmers affected by ongoing droughts. Worryingly, the contingency reserve was pared down to a meagre R16 billion over the next three years. 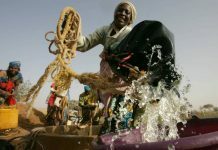 It was unclear how this will have an impact on emergency assistance for crises such as the persistent drought. 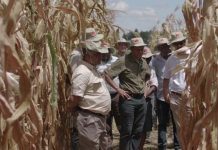 The drought situation in the Eastern, Northern, and particularly in the Western Cape remains the major risk to food production, its effect on the economy is begging to show itself and something needs to be done urgently. 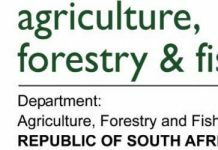 Agri SA hopes that agriculture will receive greater attention in the 2018 budget. Agri SA recommends that the budget make adequate resources available to ease the impact of the drought on farmers and to provide the necessary infrastructure to help boost agriculture’s competitiveness, and subsequently improve food production and job opportunities in the sector. For students from households with a combined annual income of R350 000.